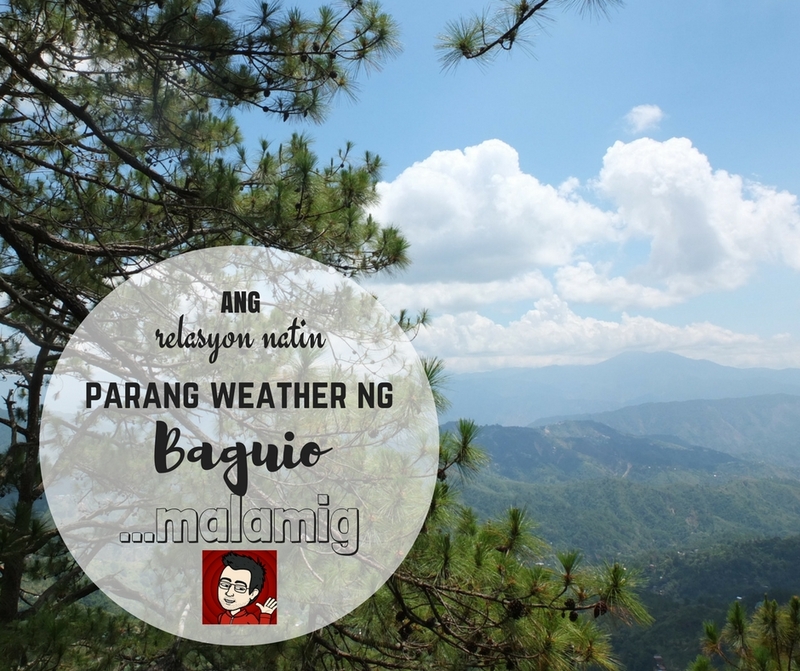 I love Baguio. It's probably the combination of the romantic feel and the cold weather that draws me to it. I have been here many times already and I love to keep on coming back. It's the perfect place to go to during the hot months and a lovely place to be in during cold months because it is absolute for the cuddle weather. 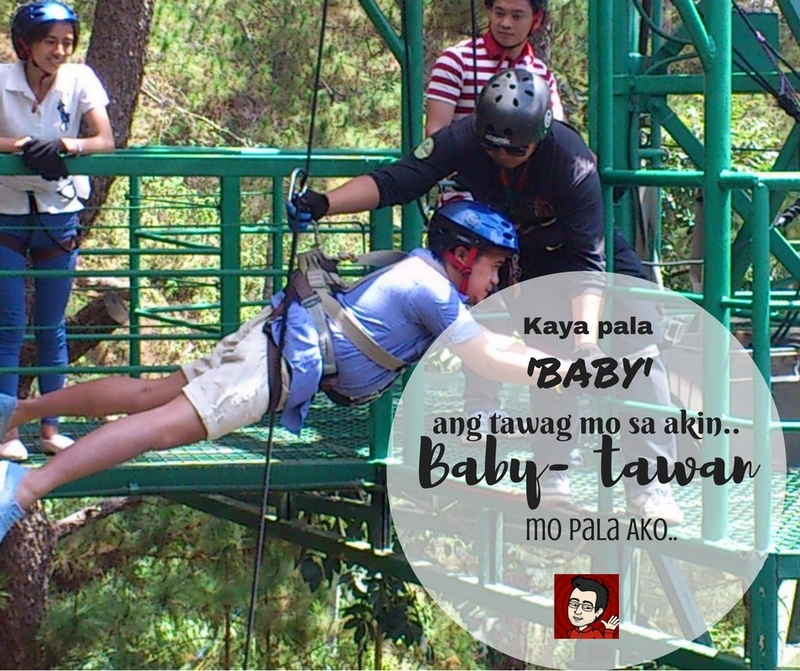 I even remember one past relationship that blossomed in Baguio. 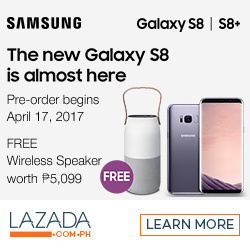 Hihihihi. 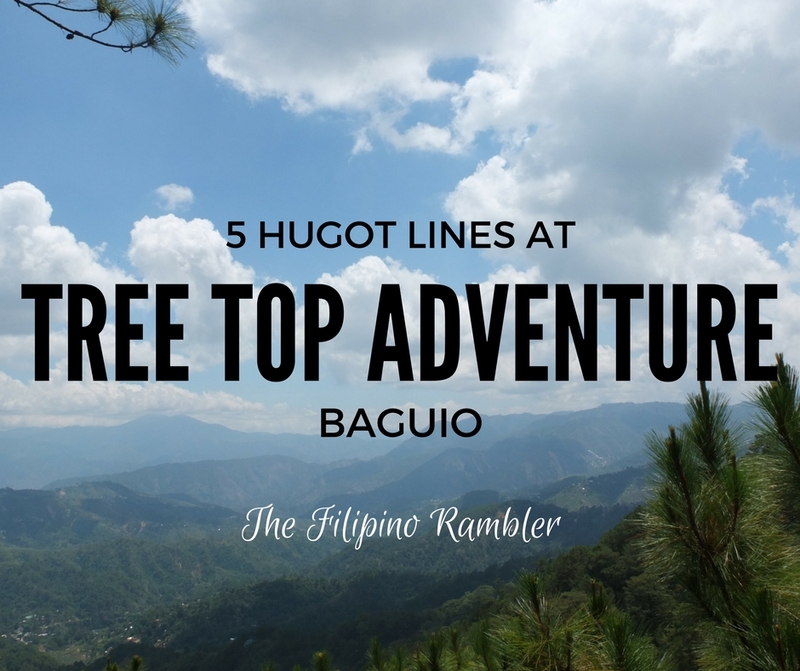 On my second day in my very recent trip to Baguio, we dropped by Tree Top Adventure to experience its signature ride. 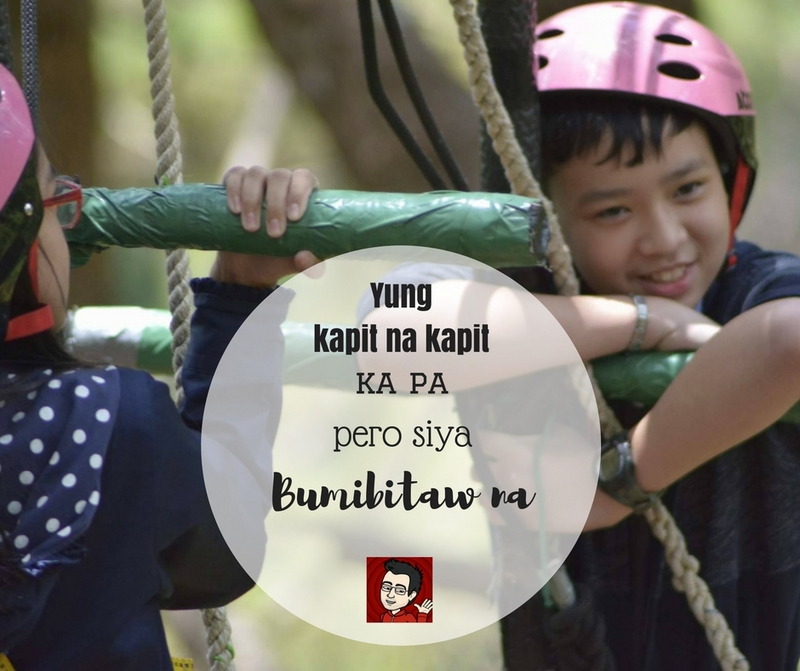 (Click HERE for my day 1 at Tree Top Adventure where we had a Team Building Exercise along with my fellow bloggers.) 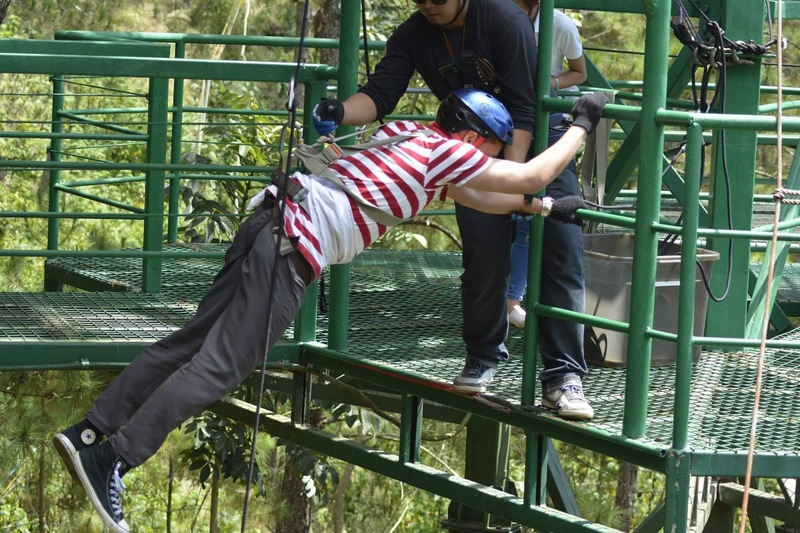 Yes, aside from the many iconic spots you can visit at the Summer Capital of the Philippines, one may be able to experience the thrill and at the same time, commune with the nature via Tree Top Adventure. 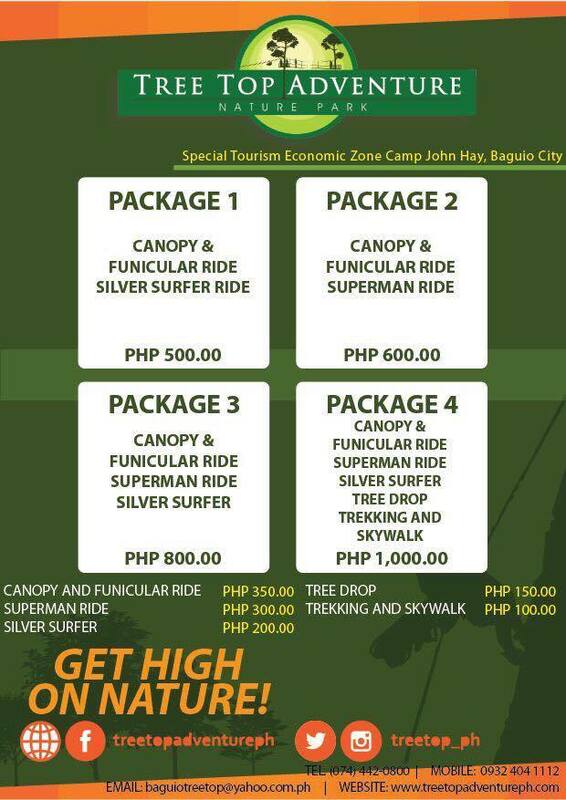 One's Tree Top Adventure experience will never be complete without the Tree Drop. 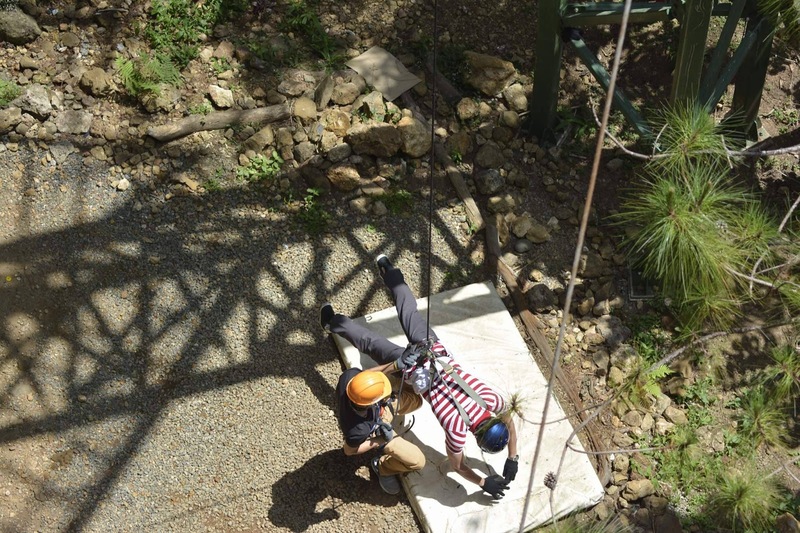 Undoubtedly, this is one the best rappelling experience you will ever have. Suspended from 60 feet high, you will drop ala-Mission Impossible. 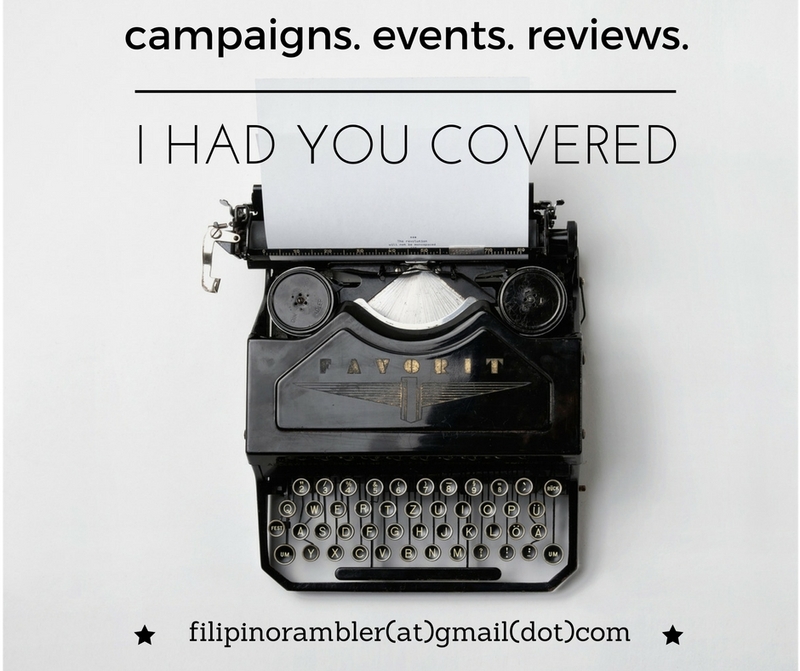 Believe me, it can be intimidating at first but once you got the hang of it, you will even feel it's bitin. Like you wish they dropped you from 100 feet high. Having done this twice, I consider this a bragging right. Lol. That's Azalea's hotel officer and a good friend, Paul, doing the Tree Drop. The zip line adventure that will take you on a superhero flight. 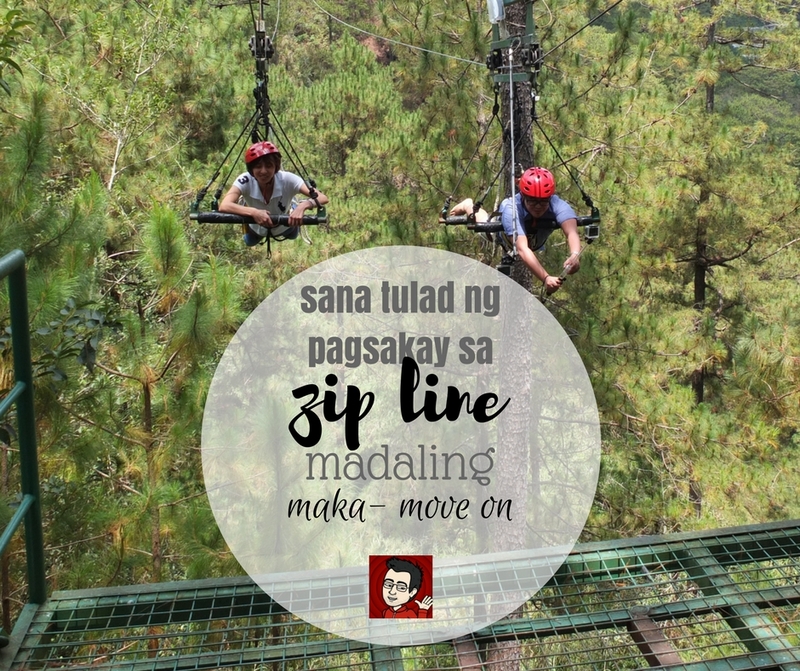 At Tree Top Adventure Baguio, you will be suspended over 150 feet high. And the view from above is super amazing! Glide from one tree top to another and go surfing into the wind with a fellow rider. This is one of my favorite rides here at Tree Top Adventure. It can be scary specially when it make a temporary stop at the end of the line and you go swinging. But yeah, kapit lang. A network of motorized cable rides lets you travel through trees 100 feet above the ground. If you ever wonder how it is to be above the trees, this ride will give you the bird's-eye-view vantage point. 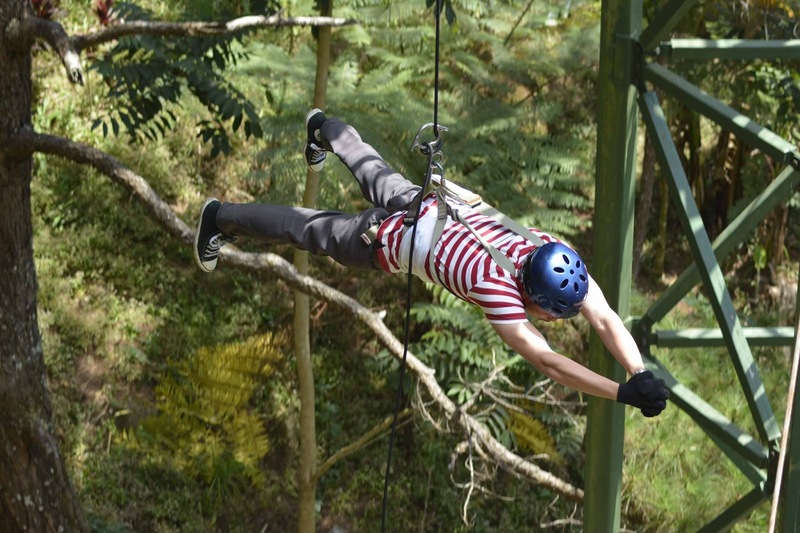 Tree Top Adventure is the only theme park in Baguio that offers motorized activities. The rides are super safe. The staff are trained to do rescue just in case something happens. I've been here twice and once in Subic and yeah, it is guaranteed safe. One even doesn't need to have an experience to try their activities- all you have to do is have yourself harnessed by the staff, get strapped and ride. And breathe all the courage just in case you're afraid of heights. Those with medical conditions are advised to go to their medical team first to check if you're OK to go through the rides. While the facility would want to give you the fun and excitement, you should be physically fit for it. Better safe than sorry. We had an exhilarating day. 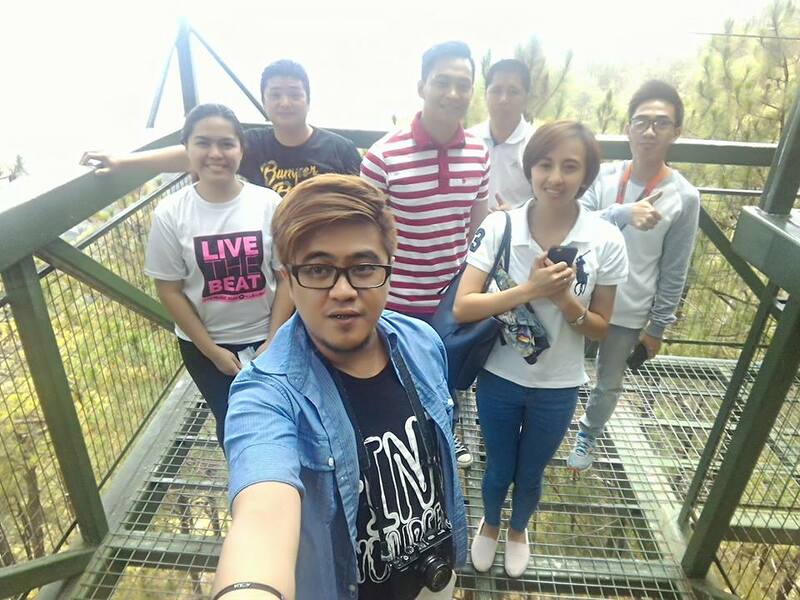 If you're looking for some adrenaline rush, make sure you drop by Tree Top Adventure. 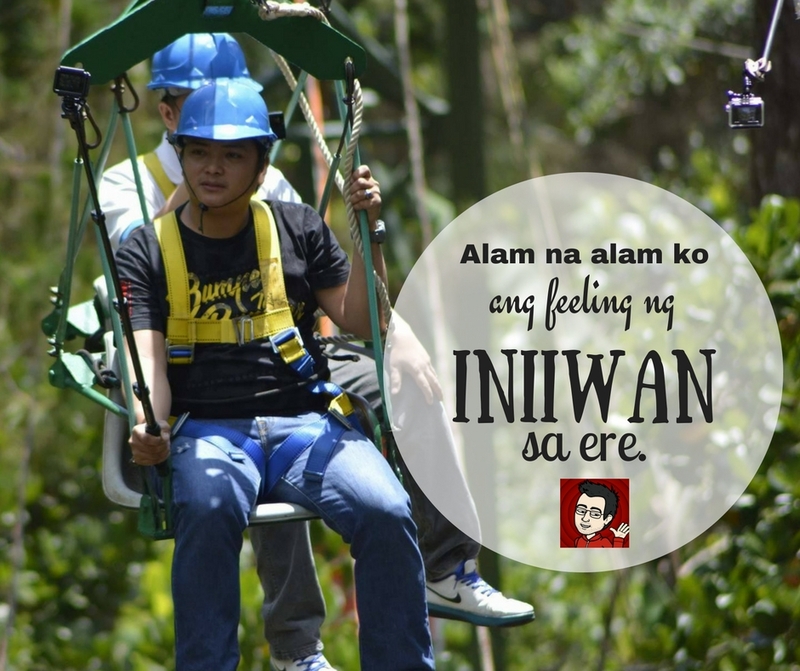 Not only did I enjoy the beauty of the place, I was also able to have an ultimate HUGOT moment at Tree Top Adventure. Great article! Missing Baguio so much.